We are all healers. Healing energy is a natural part of every one of us. Cut your finger; it heals without intervention. Healing is biologically innate in living beings. Some people are deeply in tune with this healing energy and can act to support others on their healing journey. When I say healing begins at home, this statement is something I mean from two perspectives. The perspective show cased above; that the body is a healing organism. 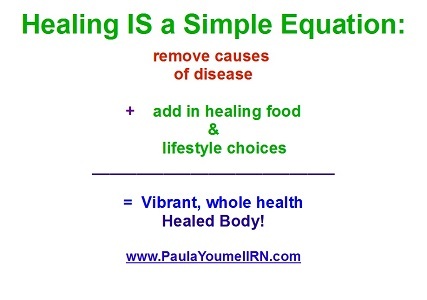 Healing just happens in your body, your physical home. Also, healing begins in your home; the structure, building, your physical body dwells in. The space where your habits were born and continue to be nurtured in. We are 100% capable of organizing our lives to create healing. The choices we make in our lives: what we eat and how we interact in the world all start at home. We learned our lifestyle habits from watching, interacting with, and repeating the lifestyle habits we observed family members engaging in . We can alter our lifestyle habits depending on the healing capacity of the way we live our daily lives. Is this habit best for my wellness? Most people, when asked and given time to contemplate the question, can tell you exactly why they have the disease symptoms they have. Some people can get to the heart of the matter faster and more efficiently than others; they can tell you the emotional, spiritual, and the physical reasons they are wrestling with ill health and disease. Bringing this question to people's awareness is the beginning of healing. When we can shine the light on why the disease symptoms are present in our physical health, we can start to address the underlying issues and set the healing energy back into action. Find a quiet spot. Sit. Ground yourself. Breathe deeply, focusing on the breath for several minutes. Ask yourself: "why do I have these ill-health symptoms." Continue to breathe deeply for several more minutes. Allow the answer to arise; maybe right now, maybe tomorrow or next week. My 2015 healing wish for you: Discovery of personal blocks to healing and putting healing action to work in your life.